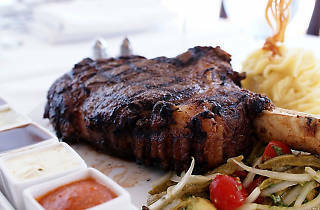 For kosher steak, look no further than the one and only Shiloh's. 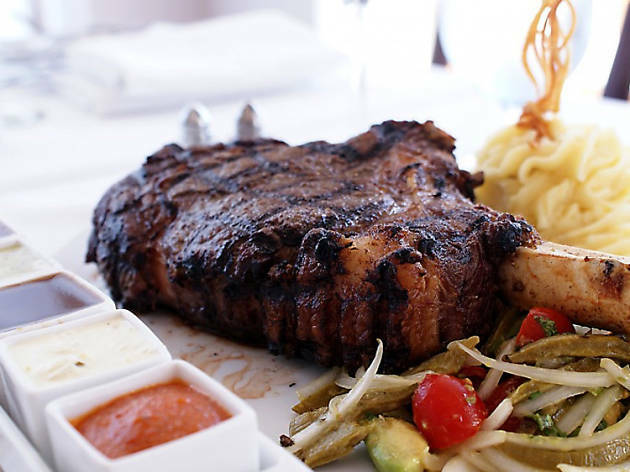 It is so much more than a steakhouse, with plenty of pasta, risotto and salad offerings, but the mouthwatering meat dishes are what you will be writing home about. Start with the tarte flambé, their version of a pepperoni pizza that will end all pepperoni pizzas. All steaks comes with their five steak sauces—a perfect pairing for their delicious French fries. The restaurant is definitely pricey, but so worth saving up for a meal there.